The variety of slots in the interactive world is so vast that it seems impossible to meet anything truly unique. However, NetEnt has managed to create an unusual colorful world and embody it in the EggOMatic game. The slot brings the gambler to the vastness of an amazing farm, populated by clockwork chickens and robotic chickens, bringing golden eggs. The game is quite diverse: here you’ll find your favorite Wild, various bonuses, spins that you can make without paying for them and other generous prizes. Meanwhile, do not wait for getting any jackpot — the game does not have it. Before the start the player is offered to view a bright introductory video, describing the game concept. The interface, gameplay and the filling of this NetEnt slot are harmoniously combined, and performed in a unified style. Funny colored heroes of EggOMatic slots are perfectly animated, and the paylines (20 of them) are presented like ropes — the “sitting places” for these cute mechanisms. The musical background is also pleasant for perception and does not detract from the gameplay. However the game zest is a mysterious conveyor, located above the playing field. Each rotation of the reels will move the conveyor belt, increasing the player gambling for real money, chances of winning. It provides additional opportunities like free spins, large Wild sign, the egg with a surprise and additional payouts. The world of EggOMatic slots is a truly fascinating gambling journey. Before the game starts, set the basic parameters: Coin and Bet levels. The betting range here is quite loyal —from 0.2 to $200 per a spin. The gambling machine always uses all 20 lines; therefore the player can operate only with the amount of the bet. Bet Max that exposes the marginal rate is also available for fans of the big game. Those, who trust their Fortune and just wish relaxing can use AutoPlay. The Info will show the player all the payout ratios and symbols features. Game Rules section (at the bottom left of the screen) will give you even more knowledge of the game. Spreading Wild Egg that surrounds your Wild with the same characters, increasing the chances of making a winning combination. Surprise Egg that will surprise you with any of the profits mentioned above. 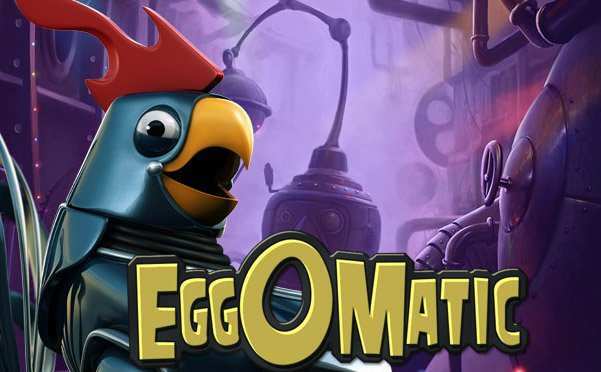 Learn more about this amazing game before gambling and play free EggOMatic casino slot machine. 0 responses to "EggOMatic Slot"